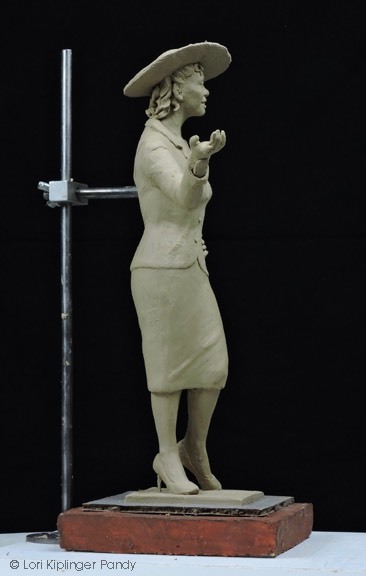 Figurative and wildlife sculpture in bronze, ceramic and cast stone. 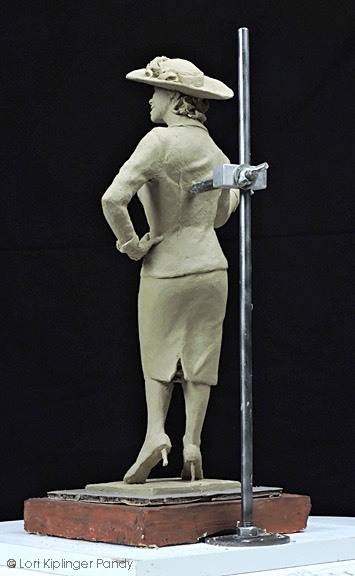 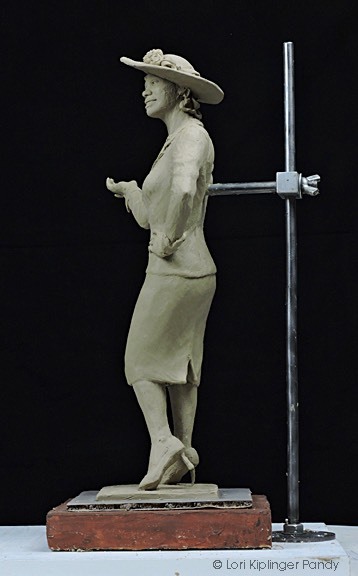 The standing sketch maquette if finished. 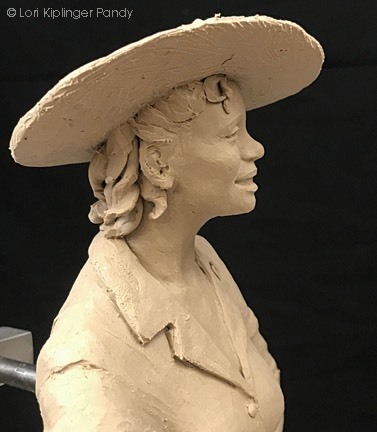 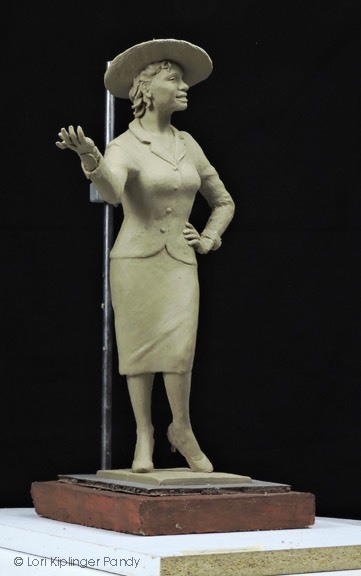 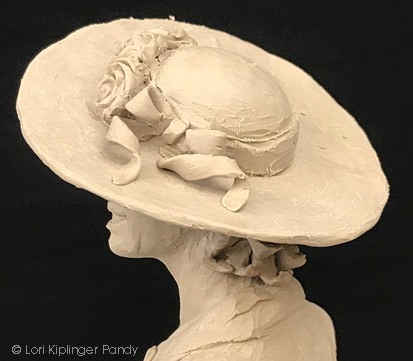 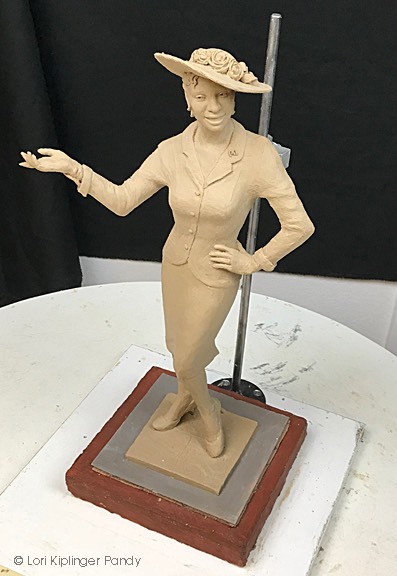 This is more detailed than I would normally do for a sketch maquette, but there were a lot of things that needed to be addressed especially regarding the clothing and hat. 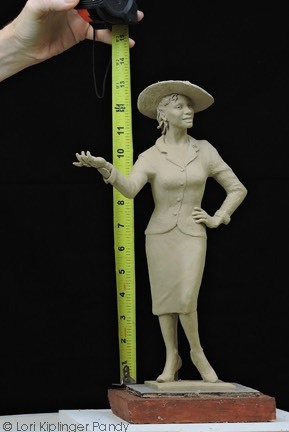 You can see that the sculpture is about 12” with a bit more with the hat. 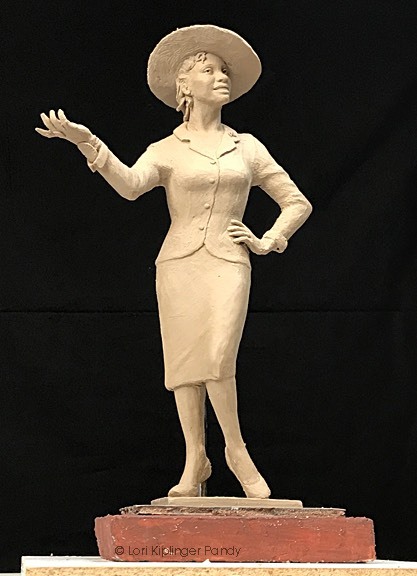 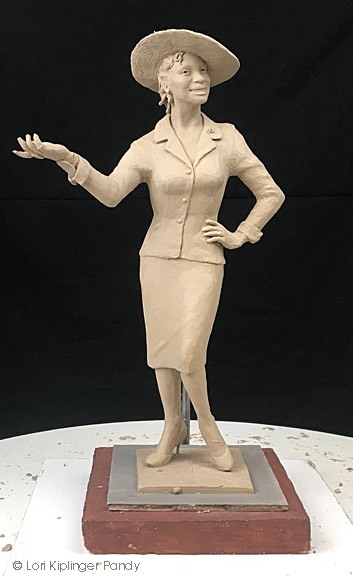 Now that the pose, the general clothing and hat have been determined I will be using this sketch as the starting point for sculpting the final maquette which will be at 1/4 life size scale or about 18” including heels.